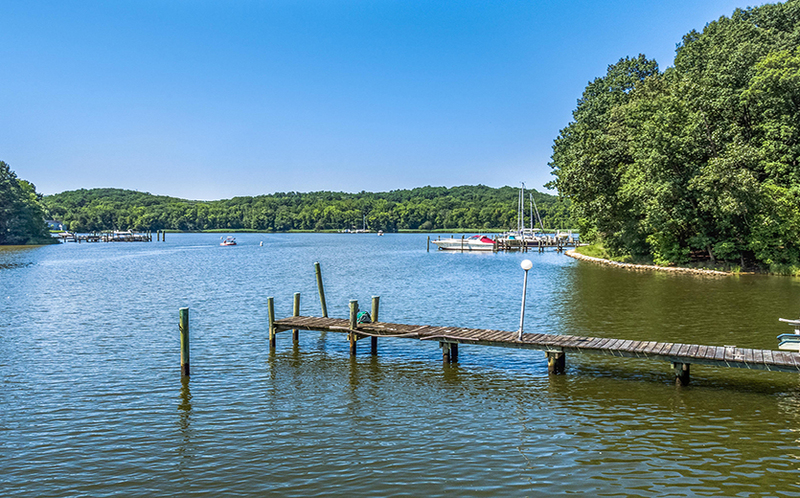 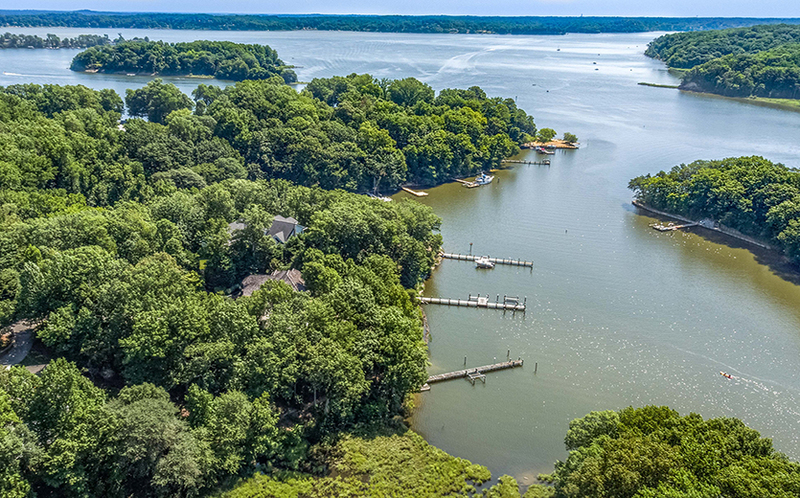 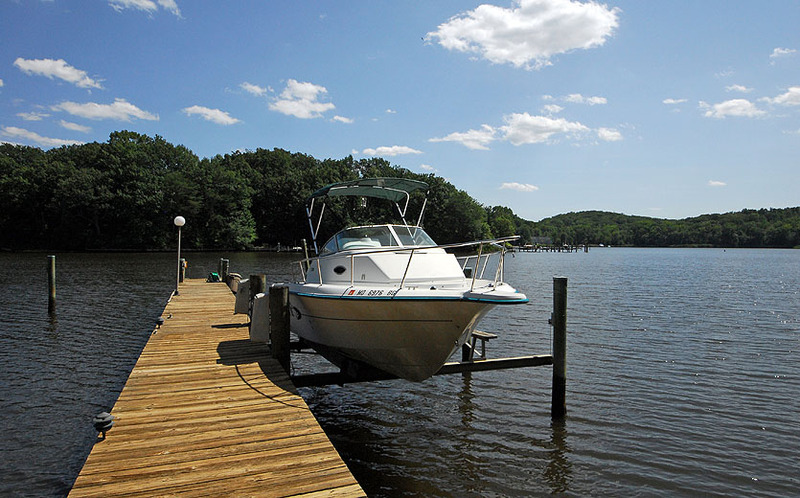 553 Osprey Point Road, in the Maynadier community, offers fabulous boating opportunities with a private, deep-water pier on Maynadier Creek…a five-minute ride takes you to the Severn River or around the corner to what’s known as the “green cathedral” on Hopkins Creek. 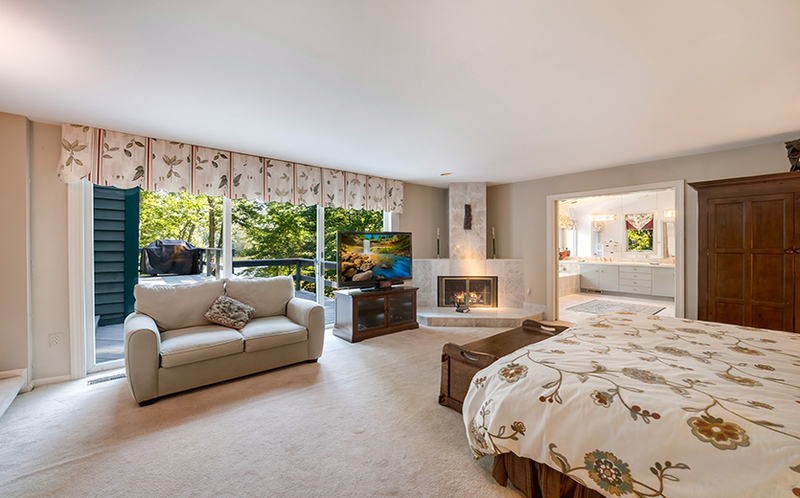 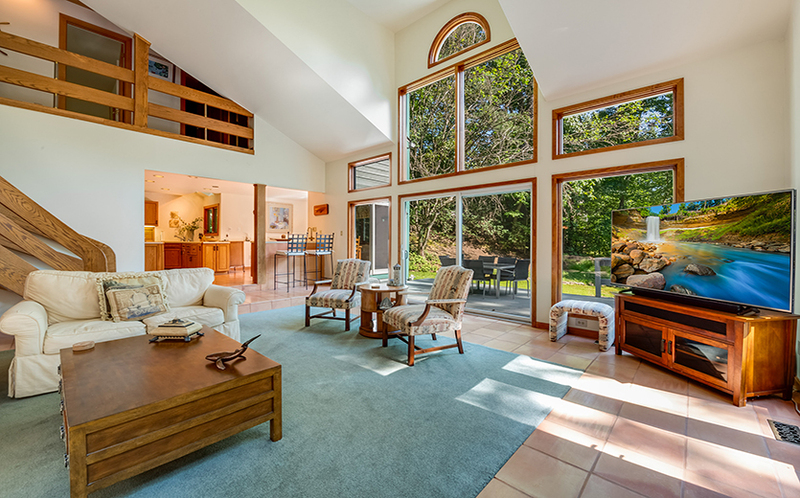 Set on a 2.4 acre lot, this four-bedroom, 5,000 square foot contemporary home provides the perfect combination of casual entertaining possibilities in a nature lover’s surrounding. 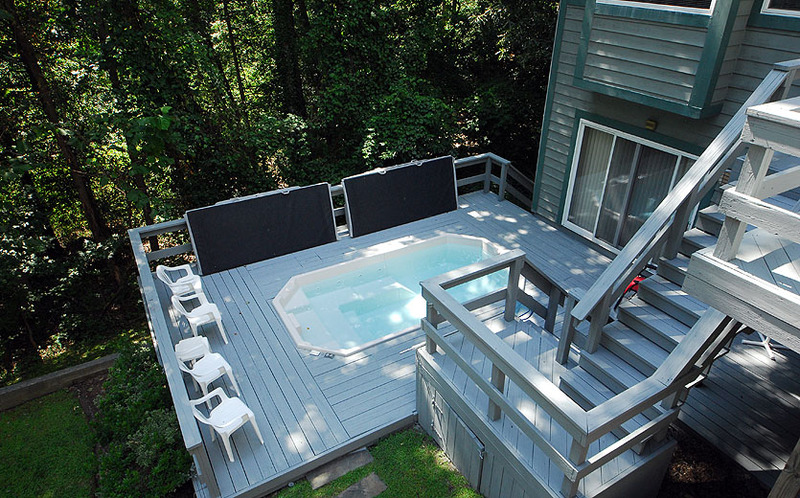 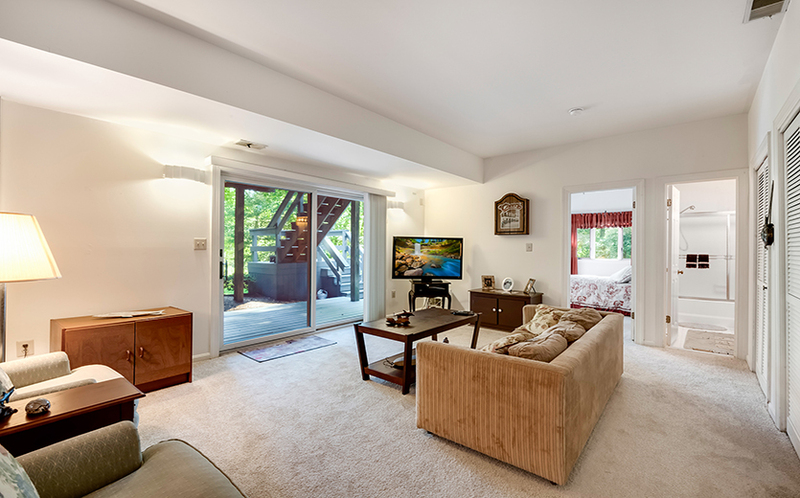 Spacious decks and a swim spa overlook the yard and the path to the pier with 8 ft water depth. 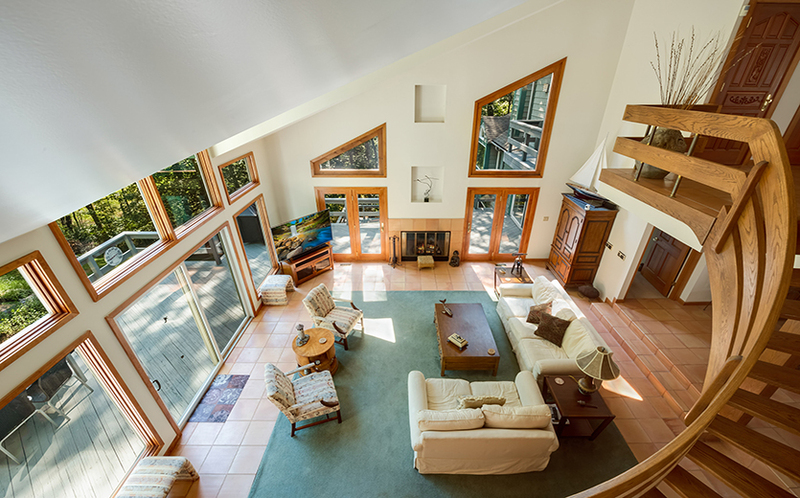 As you step into the foyer, your eye is drawn to the two-story great room to the left, with the walls of windows facing the water. 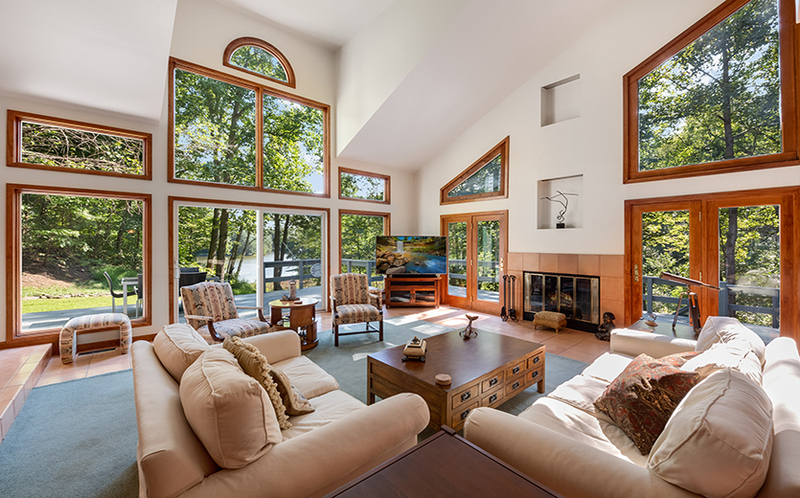 From the overlook, you can enjoy the interplay of the architectural features with the natural setting — stone, custom wood trim, and glass merge the outside with the inside. 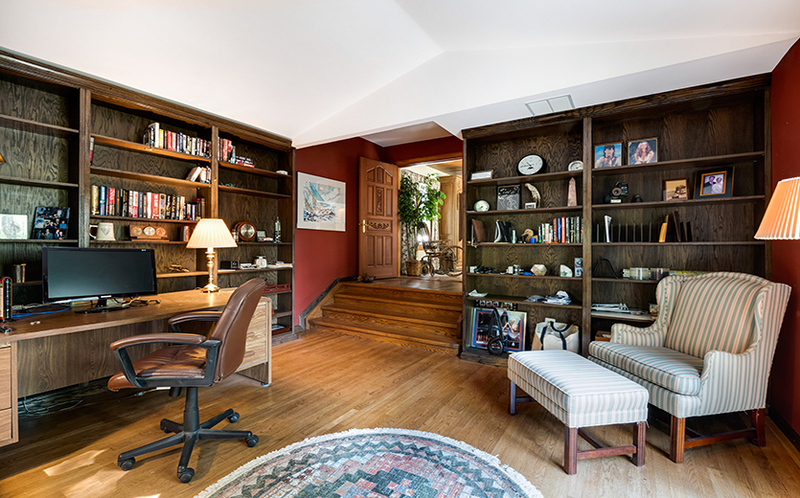 On this level there are two bedrooms that share a hall bath and a library, with water views and custom built-in cabinets. 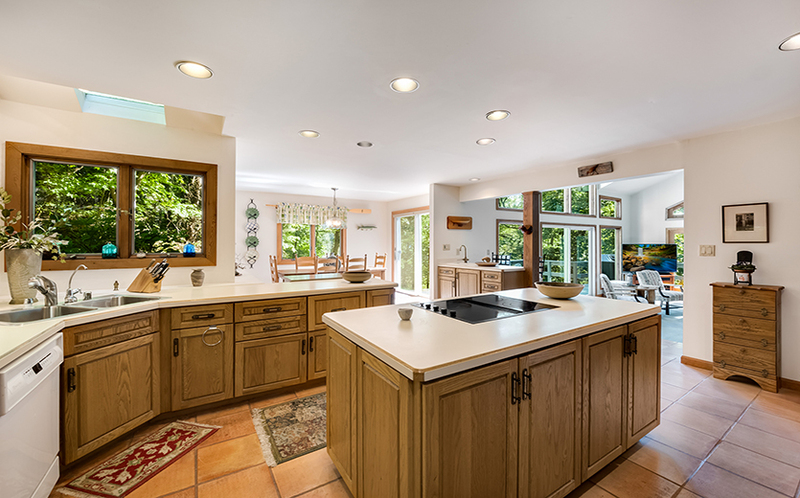 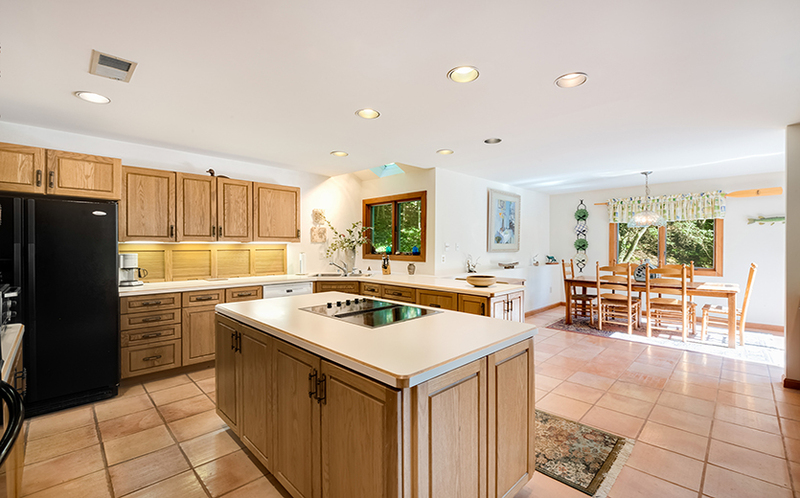 The main level is the heart of the home with a spacious kitchen that opens to the great room for more light and views. 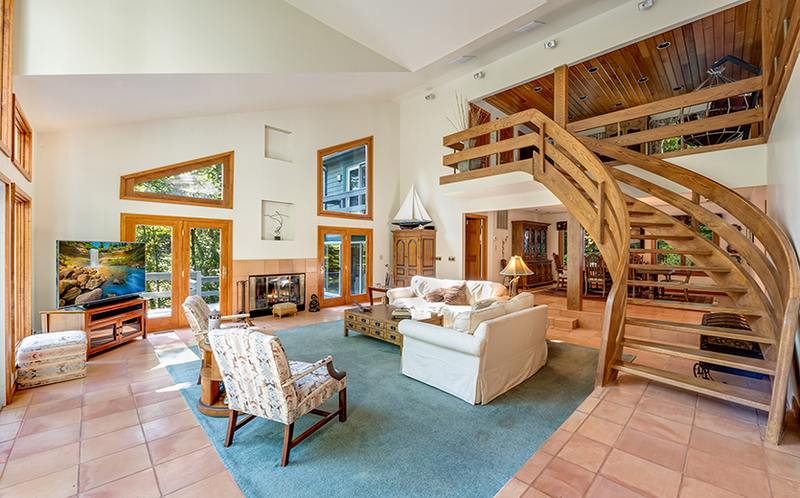 The great room has a wood-burning fireplace and offers access to the waterside deck. 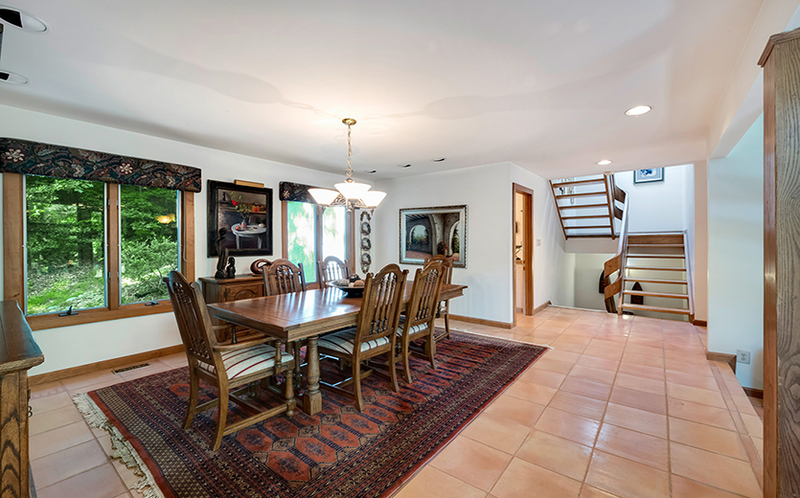 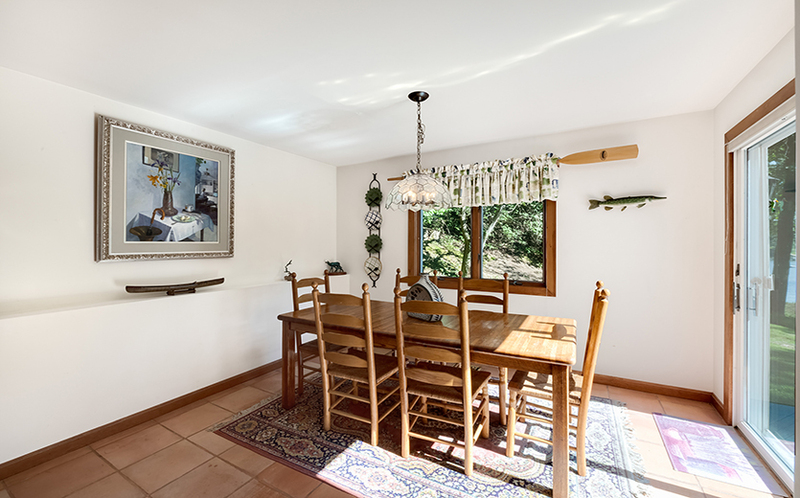 Off the kitchen there’s a breakfast nook with views; there’s also a formal dining room for those special occasions. 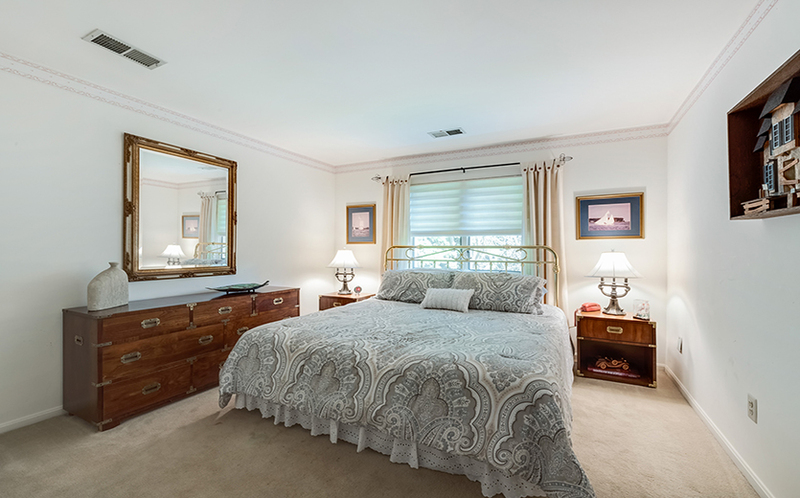 The master bedroom suite is also on this level and features a huge bathroom with marble floors, ample closet space, and more water views. 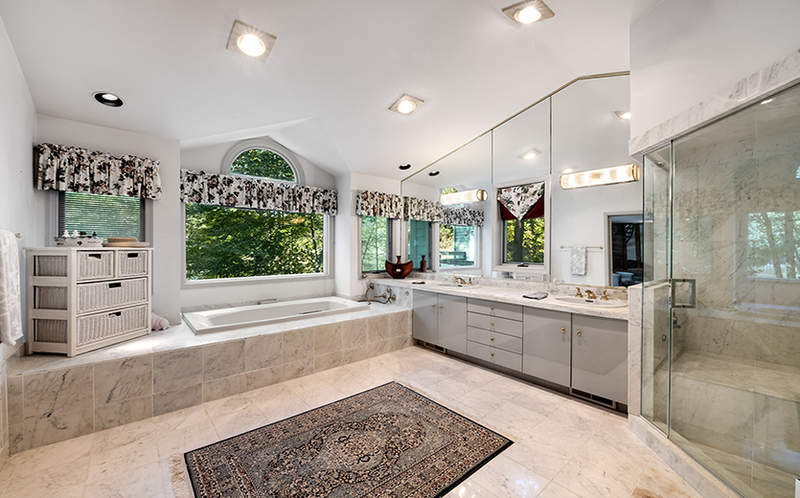 There is also a powder room on this level. 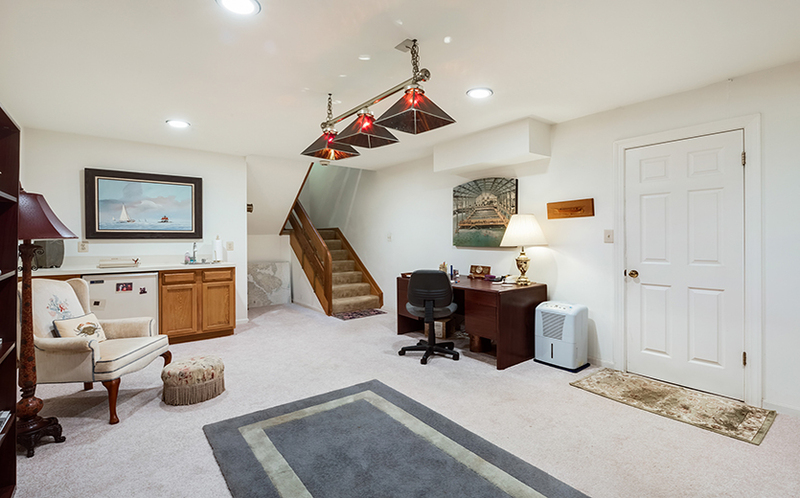 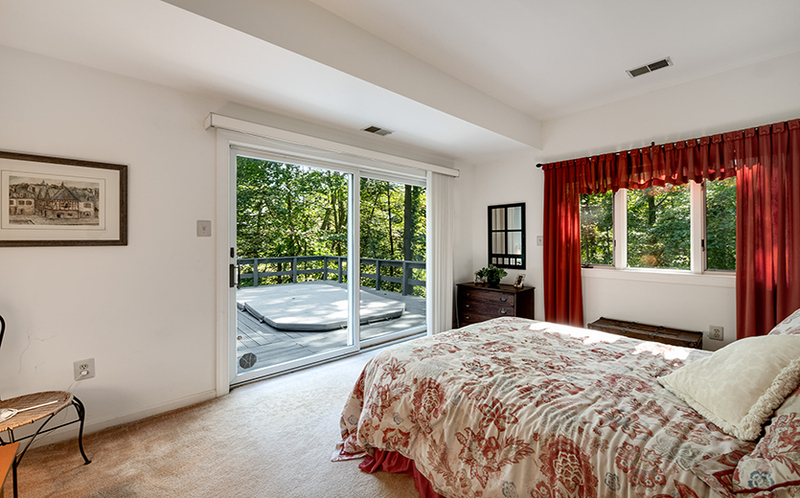 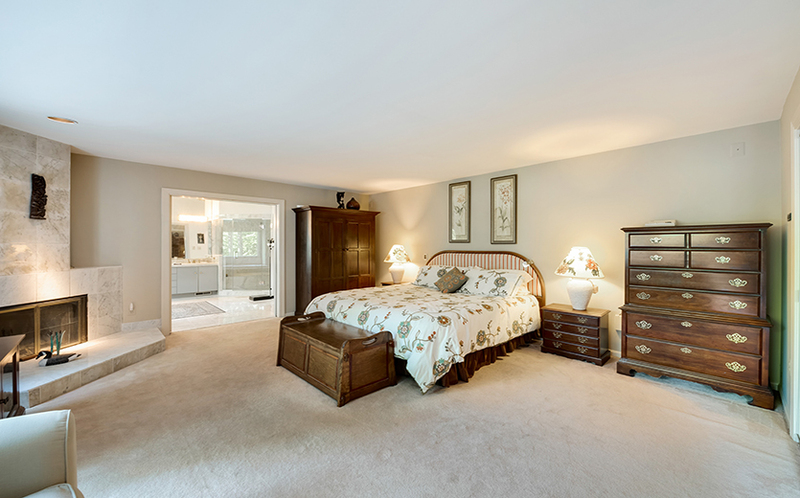 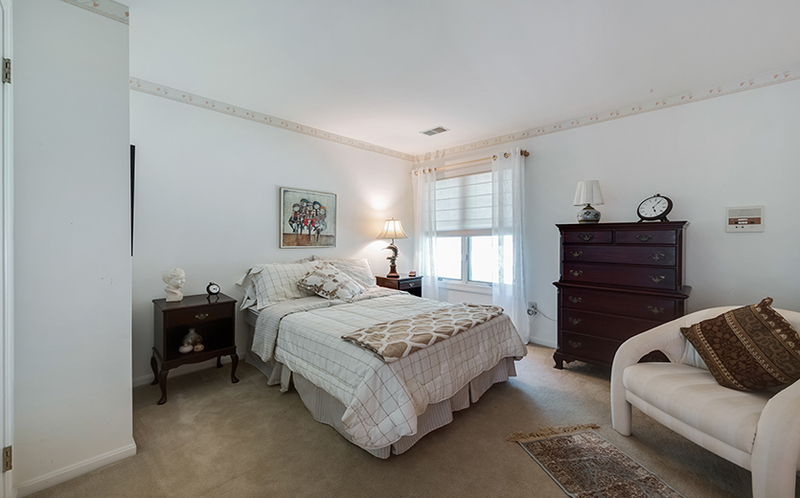 The walk-out lower level offers a family room, office area, and a fourth bedroom with private bath and water views. 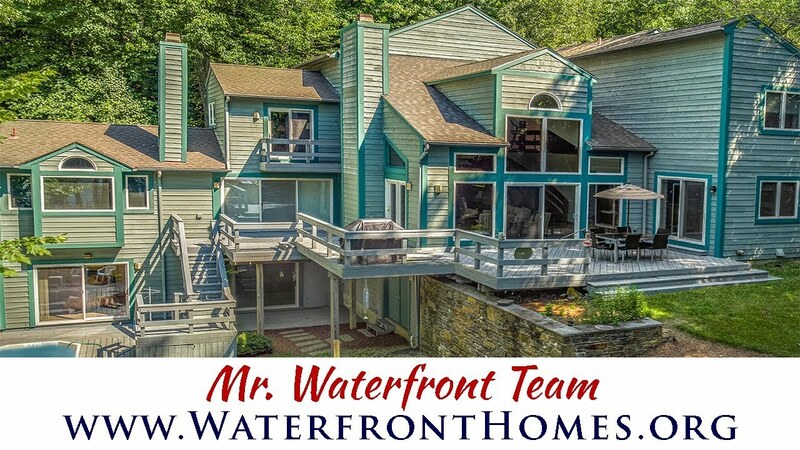 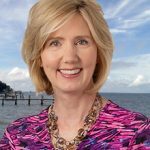 If you are looking for a property with total privacy and a deep-water dock, this is the home for you! 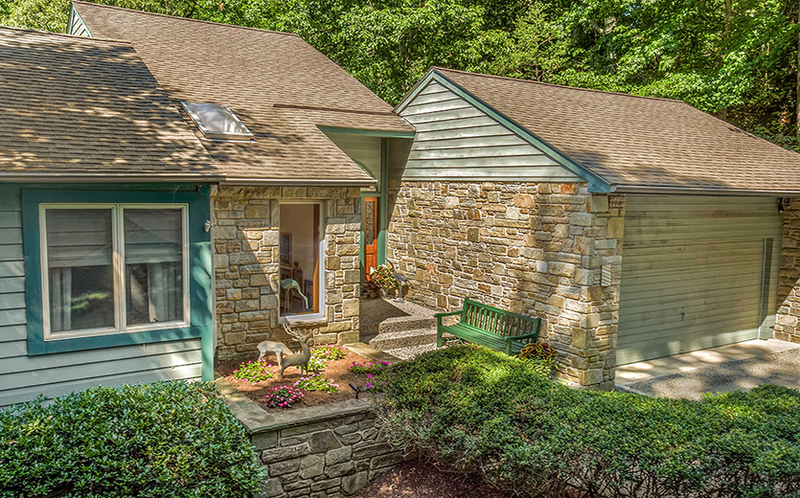 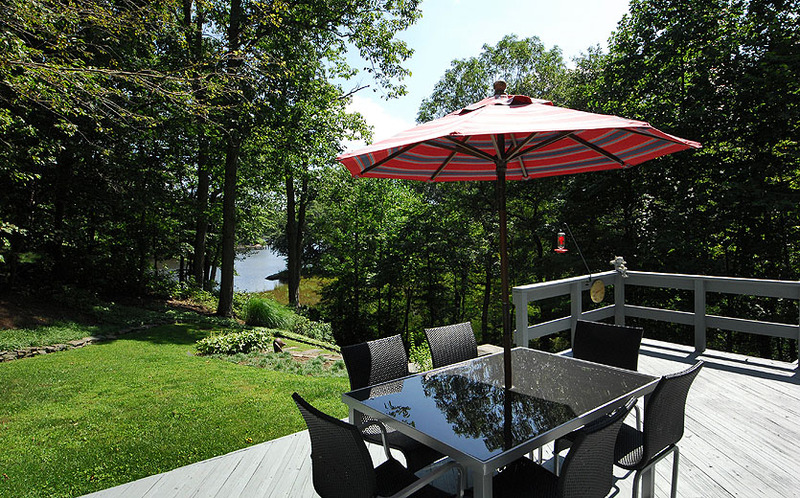 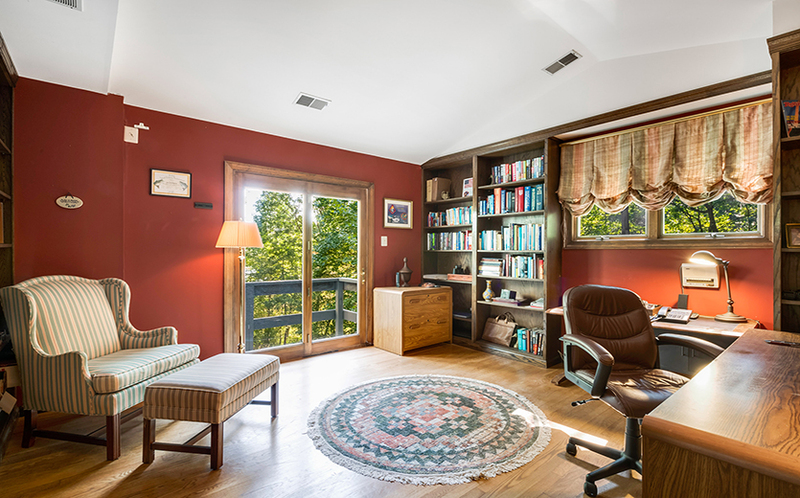 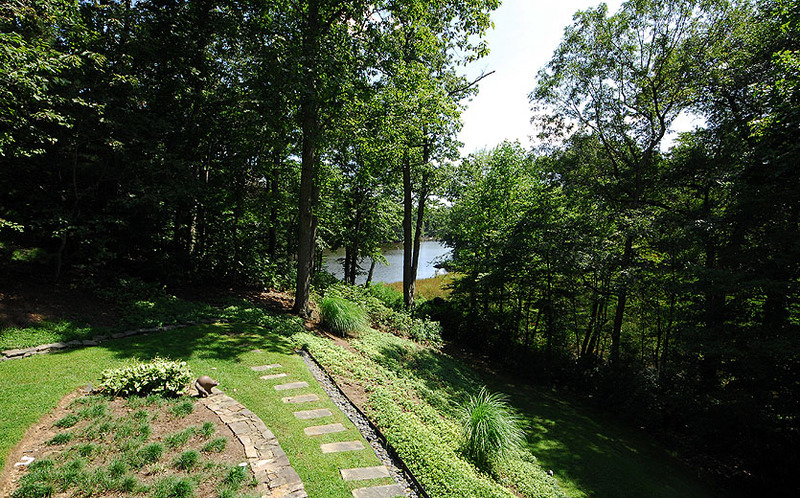 A serene and natural setting with a 5,000 SF home this close to Washington or Baltimore is hard to find.